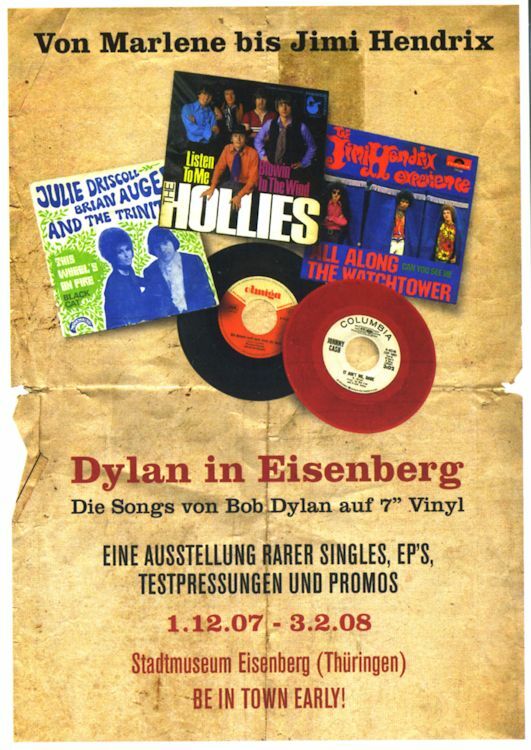 Eisenberg/Jena resident Ronald Born exhibited some of his Dylan collectables for two months, from 1 December 2007 till 3 February 2008 in the Stadtmuseum in Eisenberg, celebrating Bob�s 70th birthday. Thank you to Hanns-Peter Bushoff for scans and explanations. Programme of the exhibition, explaining what is displayed in each window.